GitHub - jsomers/git-game: The git committer guessing game! 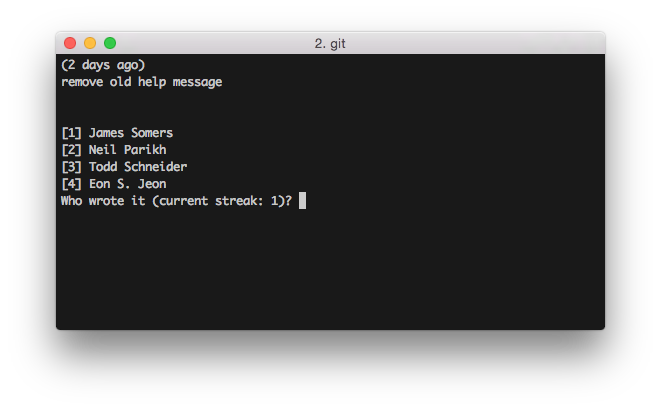 The git committer guessing game! Want to be notified of new releases in jsomers/git-game? "I can't get it to work", "It would be cool if you could...", etc.